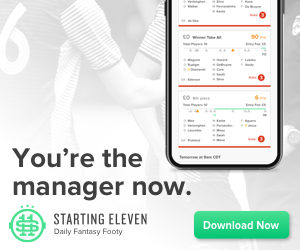 After the unwelcome lull of the international break, games are coming thick and fast again as Fantasy Premier League managers brace themselves for three rounds of fixtures in the space of just 10 days. As is often the case, they face a very different landscape than the one they left behind. After serving real-world and fantasy managers alike so well, Seamus Coleman’s shocking injury against Wales forced many into early transfers. News of injuries to Michail Antonio, Funes Mori, Petr Cech and Manolo Gabbiadini only added to the frustration. With recent transfer gymnastics of GW27 and 28 still fresh in the memory, the attention of FPL managers is already turning to those upcoming Double Gameweeks. At the moment, all eyes are on Crystal Palace, Middlesbrough and Man United, who all have two confirmed fixtures in GW34. Canny FPL managers will also be factoring in that Southampton V Arsenal fixture, which will be played sometime before GW37. 0.9% or less. Hence the name "Zero Hero"! Zero Hero is back! My aim is to find the ultimate differential for GW30 (at 0.9% or less) so you don’t have to. Last time I had the pleasure of writing this article, I opted for Roberto Perreyra who happened to score an absolute scorcher, so hey, let’s keep this 100% record up. Here we are, the international break is over and FPL is back. I would bring you a brief roundup of the international results, but I’d rather miss a whole Saturday of football to go plant shopping with the misses. As GW30 approaches and after an international break, FPL managers are often left in the unknown with which players will get the nod and which players will not. With notable injury scares such as Sanchez, Hazard & Gabbi, FPL managers will potentially be looking to complete some shrewd transfers. 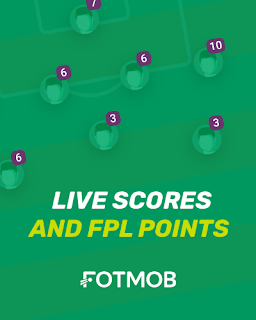 There are some tasty fixtures for GW30, Manchester Utd take on WBA at home, Palace take the torrid journey to Stamford Bridge and the Swans play the uninspiring Middlesbrough at the Liberty Stadium. However, I’m opting for the biggest game of the game week, the clash of the titans, the north vs the south; Hull vs West Ham (Not Arsenal vs Manchester City). A player who has recently been dogged with injury has made a comeback and is very much favoured by Marco Silva is Abel Hernandez. Sitting at 5.9m and only 0.9% ownership, Hull will be looking to get some crucial points at home against West Ham – notably, Hull play Middlesbrough at home in GW31 meaning Abel could be a cheeky two-week punt. Yet, not all is rosy. Abel has only scored 4 goals and provided 1 assist since the start of the season. But, as hinted before, this is the time of the season when you need to consider having a relegation battling asset in your FPL team. Romelu Lukaku went ahead of Harry Kane in the top scorer charts this weekend. The striker was the obvious captain choice with Kane out injured. He left it late to get goalscoring returns after a brilliant flick to provide Valencia with a goal in the first half, but was on hand to score twice past 10-man Hull in the last minute. Lukaku is the second highest point-scoring player in FPL as it stands. Although Lukaku has been a fantasy favourite for many years, this is a little surprising as he has been unable to keep up consistent goalscoring runs, and instead having long periods of the season without a goal. His start price back in August was only 9.0, but Lukaku has proved his doubters wrong this season, having 18 goals to his name in 28 games, and finally looks to have fulfilled his goalscoring potential. Lukaku is in tip-top form, scoring in each of his last 4 games. Craig Dawson's two headers in West Brom's victory over Arsenal were the 12th and 13th goals scored by The Baggies' defence this season, more than any other defence in the league. Tony Pulis' team is renowned for its aerial superiority as the tallest team in the league, and are statistically the best team at scoring goals from set pieces (18). Chelsea's back four has also been prolific in front of goal at a close 2nd with 12 goals, with Gary Cahill matching Marcos Alonso's season-long tally of 4 at Stoke. The hidden gems this season in defence have been in West Brom's back line. The idea of doubling up or trebling up on the West Brom defence looks as good as ever. Gareth McAuley in particular is the 6th top defender in FPL as the top goalscoring defender with 6 goals. McAuley is the best value outfield player with 24.8 points per 1.0, while Burnley's Tom Heaton, the league's top keeper, has been the best value player in the game thus far (26.4 points per 1.0). Like McAuley, Heaton started the season as a budget pick at just 4.5. Pulis and Dyche are making this an interesting season of FPL. The week in Fantasy Premier League: Do you need to wildcard before it’s too late? Last week’s truncated set of fixtures left some Fantasy Premier League managers delighted. Others... not so much. The Gameweek average score of 19 points doesn’t tell the whole story. Basically, those who had both Romelu Lukaku (EVE, 10.3) and Joshua King (5.6) flourished - pretty much everyone else was left facing those dreaded “red arrows”. 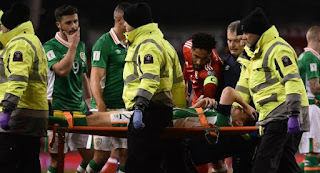 And it was standing room only in the GW28 Hall of Shame. 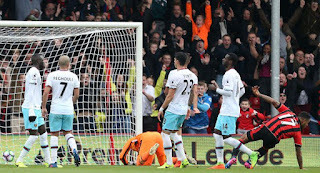 West Ham's Manuel Lanzini and Andy Carroll returned two points each. Robert Snodgrass didn't even play. FPL managers who picked Leighton Baines over Seamus Coleman tore their last remaining hairs out as he departed at half-time, taking his likely clean-sheet points with him. They all pale into insignificance however compared to Phillipe Coutinho, who pulled off the ultimate FPL troll move - running to the bench after 59 minutes and 59 seconds to deny his loyal owners that precious point. If only he had displayed that kind of awareness and pace earlier in the match. Honestly - it’s almost as if these players don’t care about helping us win our work mini-leagues! The daring FPL managers among us took the risk of transferring in Bournemouth's out-of-position midfielder Josh King after his good performance vs Man United last weekend. We were rewarded for our optimism in the end, King had a field day against a helpless West Ham defence, but it didn't always look so promising. Early in the game King missed a penalty. Then Bournemouth won another which Benik Afobe fluffed and many wondered if Eddie Howe's side would be given many more opportunities; whether it was their day. It was definitely King's day though, the Norwegian bagging a hattrick. The implications of this in FPL were that if you gambled on King you were rewarded with 18 points, which is nearly the week's average. A theme that has emerged this season is that the usual suspects have been the safest captain picks. By the usual suspects I mean of course the highest owned players. This week, with no Harry Kane, Eden Hazard or Diego Costa, due to FA Cup commitments, to tempt you with your captaincy, Lukaku was the overwhelming favourite. 41% of all teams have Lukaku, the highest owned in the game. The next most owned of all the starting players in this blank gameweek was Mane (25.1% ownership). The 2nd most owned striker of the 4 fixtures was Llorente (14.5%), who was unfortunately forced off with a dead leg in the first half. The Spaniard should be back next week and could be key to his side's performance against Bournemouth, who have not kept a clean sheet since gameweek 19. Many struggling teams (like mine) can be accused of 'chasing points' by captaining out of form players, as this gameweek has reiterated the importance of 'playing the percentages' in order to choose a reliable captain. Lukaku, with a goal and assist at home to West Brom, is exactly that. Despite good performances now and then, Coutinho, Mane and Lallana are not. 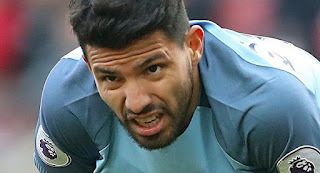 Last week, it just took one Man City fixture announcement to catapult Sergio Aguero from a forgotten man to a would-be savior of our FPL seasons. Before long, it seemed like every manager on Twitter was confidently taking the plunge and triple-captaining the Man City marksman. By the time Double Gameweek 27 finally kicked off, the excitement was palpable. But, as is often the case, it found a way to troll us, ending with the whimper that was City’s 0-0 draw against Stoke. Amid all the clamour to bring in two or three Man City players, the week’s top scorers came in the unlikely forms of Dusan Tadic (SOU, 7.0) and Marko Arnautovic (STO, 7.1) - with Stoke defenders all returning double figures to boot! As a strategy, there was sound logic to placing the triple captaincy on Aguero, and those who elected to hold onto their chip should be feeling more relieved than smug - future Double Gameweeks don’t hold any more guarantees than this one did. Now, the altogether different challenge of the dreaded Blank Gameweek 28 has drifted into view like a tumbleweed, leaving many wondering how best to approach it. This blog proclaimed Gameweek 26 to be Harry Kane's gameweek. A week later and it's the same story, despite Sergio Aguero having a double gameweek. Kane is not to be underestimated at home, as pointed out after his hattrick and assist in 4-0 rout of Stoke. Aguero on the other hand, having scored in his first game of the Premier League week against the side rock bottom was beaten by Harry Kane, who fired yet another cluster- a brace v a strong Everton defence. Aguero owners were playing catch up but Aguero was unable to match Kane's 13 points even with a favourable mid-week fixture at home to Stoke. Kane owners were rewarded for their faith, while knee-jerkers who took hits to get Aguero in were left disappointed. The same lesson of sticking to form players even in a double gameweek was taught in gameweek 34 of last season, when Kane outscored Lukaku who had a double gameweek blank. Time to trust Kane with the armband every week? The double gameweek provided no consistent points for attackers due to Stoke's solid defensive work at the Etihad, but it meant both Man City and Stoke defenders kept two clean sheets in both their games.Both of which are differential defences, so points were there for the taking of managers with points to make up on rivals. Stoke seemed to have bounced back from a 4-0 loss with a new-found ambition v Middlesbrough and a new-look 4-4-2 v Man City. It is safe to say Chelsea have been the most consistent performers in this season's Premier League, testified by the league table. Three Chelsea players is still a must. This gameweek particularly strengthened the argument for having 2 of the 3 Chelsea 'PHD' attacking triumvirate. Between them they have 7 goals and 6 assists in the last 6 games. Whereas the last minute Lanzini consolation cruelly took away the clean sheet, but on another day it would be the perfect outing for Antonio Conte's men. Stoke fan, football fan, fantasy football nerd. The season’s first Double Gameweek, arriving as it did out of the blue, has whipped FPL managers into a veritable frenzy. 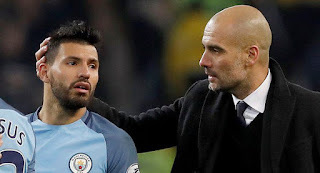 Suddenly the community is rife with fevered talk of bringing in three Man City players, despite that dreaded blank, followed swiftly by games against Liverpool, Arsenal and Chelsea. Mass hysteria has even led to some FPL managers suddenly seeing John Stones (MCI, 4.7) less like Bambi and more like Franco Baresi. Contrast them with the more seasoned, cautious FPL bosses, who have been quietly cursing how the DGW has upset their meticulous planning for the blank GW28. But there is the good news for them - this is one week where you can take a completely guilt-free -4 hit for a player - as long as you captain him. In a DGW, it simply makes complete mathematical sense.